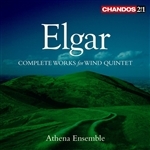 Chandos CHSA 5222 (66:09)Aaron Copland (1900-90) devotees will no doubt have been waiting for this release – the last in a series – recorded in March this year at MediaCityUK, Salford. I favourably reviewed the first here in January 2016, devoted as it was to the composer’s popular ballet music. These days we’re constantly bombarded with attractive specials from supermarkets and shops like “buy one and get one free”. It’s hard to believe that a film tune as original as On Green Dolphin Street would remain virtually unknown for over ten years. It may not have occurred to you, but Sidney Torch and Nelson Riddle have something in common. In a few months time, our book "Hit and Miss: The Story of The John Barry Seven" will be published. 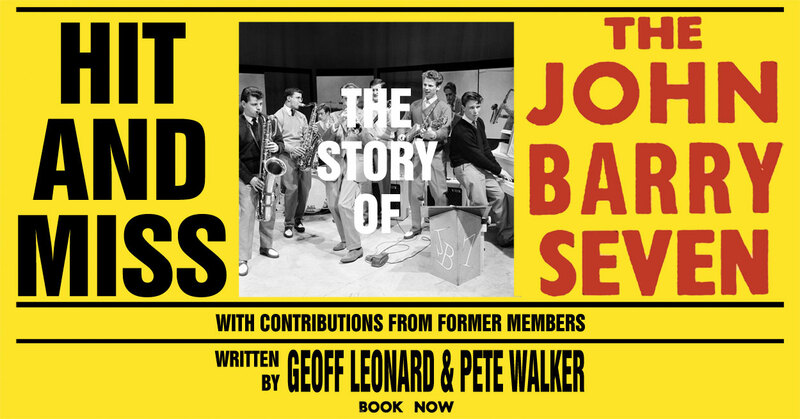 Thoroughly and painstakingly researched over a number of years, it will feature contributions from several ex-members of the band and from friends and relatives of John Barry. Comprising of around 350 pages, it will also be packed with an array of rare photos of the band, and the singers they often supported, as well as some unique images of memorabilia and documentation from that era; some never previously published, many more seldom seen. Of all movie music there’s nothing so instantly recognizable as a western theme. This is because many of the best stories of the Wild West captured the ultimate desire and desperation of the human spirit to journey into the unknown in search of a better life. This was the dream of millions of Americans. Naxos 8.573680 Royal Norwegian Navy Band conducted by Bjarte Engeset. A Debussyian pug-nosed dream starts straight in with a short simmering shimmering vision of a country-dance. Then the strings play a magnificent symphonic-like surge in the whole-tone scale that completely overwhelms me. A new 12-part David Mellor-hosted series begins on Saturday 7th April. It is broadcast at 9 p.m. every Saturday evening. As a child I didn’t really take much notice of André Kostelanetz apart from the name. It was years later I discovered his orchestra at a New Zealand friend’s holiday cottage near Auckland. Radio 2 has axed its long-running shows playing organ and brass band music and given new slots to Jo Whiley and Cerys Matthews in a generational shift at Britain’s most listened-to station. The Organist Entertains, which has been on the network for 50 years, is being "rested" with veteran presenter Nigel Ogden retiring. Theatre organist Ogden, 63, has introduced recordings and live broadcasts of pipe and electronic organs, since 1980. Nigel says: "I'd like to thank my ever loyal audience for their support and messages during the 38 years I've hosted The Organist Entertains. I've loved hearing from them and send them my very best wishes for the future. I’d also like to thank Radio 2 for giving me the opportunity to play the music I love each week - it has been a huge privilege." Radio 2 has also axed Listen to the Band, its weekly showcase for brass band and military music, presented by 78 year-old conductor Frank Renton. The programme has existed in various forms on the BBC since the Second World War. The yearly Young Brass Award will remain as a Friday Night Is Music Night special in April; whilst brass and organ music will be included in Friday Night is Music Nightweekly programmes throughout the year. Brass will continue to be heavily featured on a weekly basis in Clare Teal’s Sunday night show, which celebrates big band music. Frank says: "My 23 years presenting Listen To The Band have been hugely enjoyable, especially playing so much of the music that I love. It has also been an absolute pleasure being part of the Radio 2 family, and I want to thank all those who have listened or contributed to the programme over the years. Of course the next thing on the agenda is the continued celebration of the talent of young British brass players when Ken Bruce and I present the final of the BBC Radio 2 Young Brass Award in April." The period of the early 1950s when Decca recorded a series of LPs by Robert Farnon’s Orchestra playing some of the top standards of the “Great American Songbook” is now considered more than ever in the 21st century a genuine Golden Era of arranging. The BBC Concert Orchestra has just appointed Bramwell Tovey as its new Principal Conductor. This is very encouraging news as he has an established reputation for his performances of Gilbert & Sullivan. 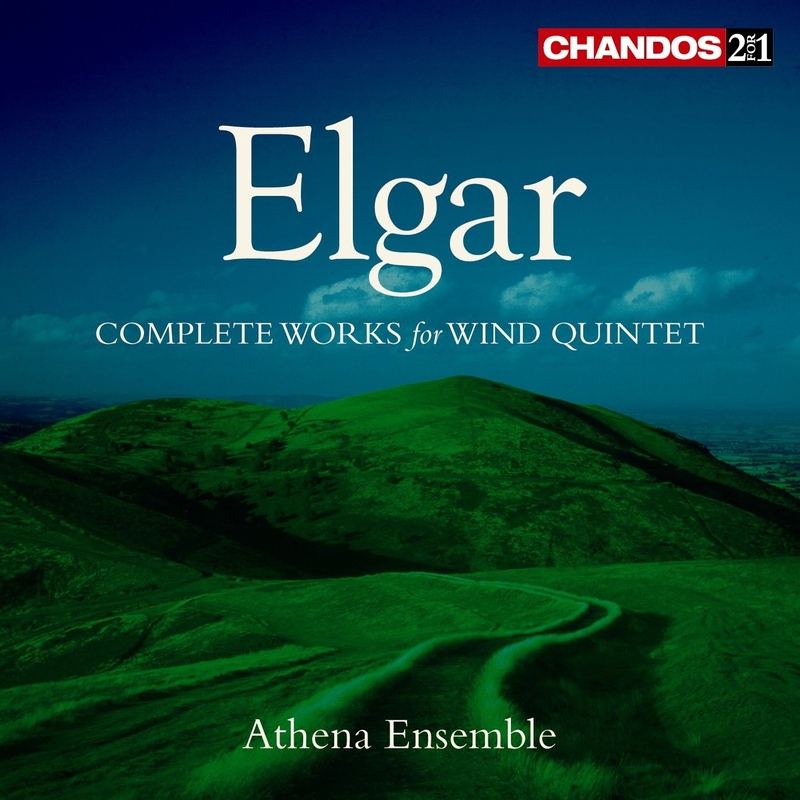 His Friday Night Is Music Night debut next week (already "in the can") includes G & S songs plus selections from the works of Franz Lehar and Richard Heuberger, sung by the excellent Ailish Tynan and Simon Betteris. The show is entitled "Winter Wonderland" so also takes in Rimsky Korsakov's "The Snow Maiden", Tchaikovsky's "The Nutcracker", Waldteufel's "Skaters Waltz" and Maurice Jarre's "Doctor Zhivago". Should be a delightful programme, in the old FNIMN style, and presented by Ken Bruce. Evergreen Magazine has just awarded its Good Music Certificate to the Co-Ordinator of the London Light Music Meetings Group, Tony Clayden. The first joint recipients of this honour were the late David Ades and Alan Bunting, who did so much to keep Light Music alive. Sadly, both men died relatively soon afterwards, and Alan’s family were left with a huge collection of recorded material, including CDs and on vinyl. Alan had painstakingly digitally remastered much of the latter over a number of years for reissue on several different labels, including the highly–acclaimed Guild series. Not only did Londoner Tony ‘gallop to the rescue’ by purchasing and retrieving them all from Alan’s home in Scotland, but he had already established the LLMMG – which had come into being after the Robert Farnon Society, led for many years by David Ades – ceased operations at the end of 2013. The new group, which holds meetings twice-yearly in Central London, has recently held its eighth event. With its links to a number of other music websites and organisations, including the Light Music Society, it continues to promote the genre and helps to avoid the potential disappearance of probably thousands of once–familiar tunes. A semi-retired recording and sound engineer, Tony is one of a small band of dedicated enthusiasts who recognise the value and worth of Light Music and he has amassed many musical contacts and friends during a long, interesting and varied career. Tony, we thank you for filling a huge musical void and wish you well, as you continue to make historic and tuneful melodies available to the general public. For me the name Joyce Cochrane has always been synonymous with just one composition, her beautiful Honey Child immortalized in Robert Farnon’s arrangement for the Queen’s Hall Light Orchestra. So it was a nice surprise to come upon one that almost got away. Flowing Stream is included in the Golden Age of Light Music series in “A First A-Z of Light Music”. (Guild GLCD 5169). Thursday 12th October on Classic FM at 8.00pm Catherine Bott will present a celebration of the Light Music Society's work and the music that it preserves. Tonight, Catherine Bott champions this important body by featuring two hours of music by composers who have had connections with the Society and helped make it grow into the organisation it is today. He will explain why the music of Eric Coates, Leroy Anderson and many others merits an audience today. The venue is the Dryburgh Hall, Putney Leisure Centre – corner of Dryburgh Road and Upper Richmond Road, London SW15 1BL. Admission is free to members of Putney Music, guests will be charged £8.00 on the night. For further details, call 07900 491 470. For those who love band music of the military variety this is a fine buy, as there are two albums – each of around 60 minutes duration – for about the price of one. In the early 1950s when most people were requesting the top pop hits of the day, I was unashamedly asking for light orchestral numbers on the “Listeners’ Request Session” at our local radio station, 1ZB Auckland. I always signed my name “Blue Eyes of Remuera”. Anyhow, the very first record I requested was Going for a Ride by the Queen’s Hall Light Orchestra. A series of two programmes entitled 'The Story of The Light' are to be aired on Mondays 18th and 25th September at 10pm on BBC Radio 2 commemorating the 50th anniversary of the end of 'The BBC Light Programme'. Former JIM correspondent Brian Reynolds will be participating in the second of these programmes talking about 'Music While You Work' and light music programmes in general with comparisons to today's radio. Whenever serious light music is discussed, the conversation inevitably turns to the finest orchestra in the genre, the Queen’s Hall Light Orchestra. And it’s not just the standard of playing - that goes without saying. E J Moeran … who he? We are grateful to Pip Wedge (former RFS Canadian Rep and Journal Into Melody columnist) for the following information: Robert Farnon lovers might like to know that Glen Woodcock, who has been broadcasting big band programmes on JAZZ.FM in Toronto for forty years, is updating a tribute programme he did in 2005 when Robert Farnon died, for broadcast this Sunday (23rd July) to mark what would have been Bob's 100th birthday on Monday (24th). The programme can be heard via the Internet on Sunday evening at www.jazz.fm, 5:00pm – 10:00 pm Toronto time. Unfortunately that puts it from 10:00 pm to 03:00 am UK time, but maybe some people would like to stay up to hear an hour or so, while others might be able to record it. Sorry we couldn't let you know sooner, but Glen only just sent an email to give a heads-up. July 24th 2017 is exactly 100 years since Toronto-born Robert Farnon first saw the light of day. Raymond Lefèvre (1929-2008) was one of the triumvirate of French easy listening orchestra leaders/arrangers/composers – the others being Paul Mauriat and Franck Pourcel – who sold millions of albums around the world in the 1960s and ‘70s. Grand Orchestra of Jean Jacques Justafre (France) had its second birth in America thanks to the efforts of USA producers Alexander Goldstein and Boris Lontsikh. The producers reached out to Grand Orchestra of Jean Jacques Justafre (GOJJJ) leader, one of the last conductors of the legendary Grand Orchestra de Paul Mauriat. GOJJJ is welcome in many countries primarily for its efforts to preserve the style, and most importantly, the sound of Paul Mauriat's orchestra. About sixty people had made the journey to the Lancaster Hall Hotel in London to enjoy our bi-annual feast of light music. 24th July 2017 is the centenary of Robert Farnon's birth. Robert sadly died in 2005, but in his memory we are reproducing several tributes originally published in a Journal into Melody (JIM) special in May of that year. Or through the Menu item "Robert Farnon" above to access the individual articles. This is a double-anniversary disc, offering a collection of mostly the composer’s lesser known works to celebrate the 90th anniversary of the orchestra as well as the 80th birthday of its principal conductor, Neeme Järvi, who is head of a musical dynasty and no stranger to these reviews. Born in Edgware, Middlesex, as Gordon Maris Colman, he graduated from London’s Royal Academy of Music, where his piano teacher, Moran Demuth, suggested that he write under a pseudonym; he therefore adopted the professional name of Gordon Colman Langford. He became a highly respected composer of light orchestral music and was famous within the Brass Band world for his compositions and arrangements for that genre. His experience as a trombonist must have enormously assisted him in this respect. He wrote a Trombone Concerto for Don Lusher, and a Sinfonietta for Brass Band, which became the signature tune for the BBC tv series Best of Brass. He acted as an adjudicator for a number of major brass band events. Gordon Langford’s compositions were regularly featured to accompany BBC Television ‘Test Card’ transmissions, whilst he also arranged many of the songs performed by the Kings Singers. In 1971, he won an Ivor Novello award for his ‘March from the Colour Suite’. As a performer, he often appeared on BBC Radio broadcasts, sometimes with his own trio / quartet on Morning Music and Breakfast Special. He was the regular pianist with Lew Stone and his band, Eddie Strevens and his quartet and Ken Beaumont and his sextet. He played for Lou Whiteson and his Southern Serenaders and undertook most of the arrangements for that ensemble from the 60s onwards. In 1983, Gordon Langford directed his own sextet in the ‘revival’ of Music While You Work. He was a long-standing member of the Light Music Society, attending many of their monthly London meetings during the 60s. I had the good fortune to meet Gordon twice. The first time was sometime in the late 60s / early 70s, when at a private party held at a house in North London, he, along with a couple of friends, formed animpromptu trio and had all the guests enthralled with his piano playing. As a jazz performer, he was very much in the Dudley Moore mould, and was absolutely brilliant at ‘quoting’, i.e weaving fragments of totally different tunes into the piece upon which he was doing the jazz improvisations. The second occasion was at a luncheon of the ‘Coda Club’, when Bob Farnon was honoured with an award for his services to music and a number of members of Robert Farnon Society were invited along to cheer-on the ‘Guv’nor’ . I found myself sitting next to Gordon and reminded him of that party all those years previously. He was affable, courteous, a real gentleman and very modest about his own achievements. It was a real pleasure to have re- made his acquaintance. He had by then moved from London to East Devon, where he very much enjoyed being involved with the preserved Seaton Tramway. During the last few years, failing health precluded his hitherto regular forays back to the capital. In 2011, Gordon Langford was nominated for a Fellowship of the Royal Academy of Music (FRAM) by the Governing Body of the Academy. 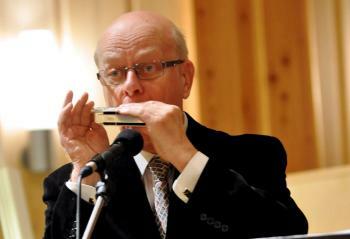 Gordon Langford, who has died aged 86, was an English composer, arranger and performer. He is well known for his brass band compositions and arrangements. He was also a composer of orchestral music, winning an Ivor Novello award for best light music composition for his March from the Colour Suite in 1971. Langford's career had a notable relationship with the BBC. Some of his compositions and arrangements were used as Test Card music in the 1960s and '70s, with such titles as Hebridean Hoedown, The Lark in the Clear Air and Royal Daffodil being remembered by Test Card aficionados. He also wrote and arranged music for Friday Night is Music Night, as well as numerous other BBC programmes. A fuller obituary will appear on this website in due course. It has only just come to my attention that the composer and pianist Heinz Herschmann sadly passed away, aged ninety, in September 2014. Heinz had been a regular attendee at meetings of the Robert Farnon Society for many years, and signified his support for the London Light Music Meetings Group when the latter was formed earlier that year. Born in Vienna, Austria, in 1924, he fled from the Nazis just before WW2, arriving in England on the Kindertransport. I am preparing a full tribute to Heinz which will appear on the website in due course. After constantly analysing a great deal of light music in all its diverse forms, it’s always nice to return to the comfort zone of the legendary Queen’s Hall Light Orchestra, rummaging through its archives for more marvels I may have missed. 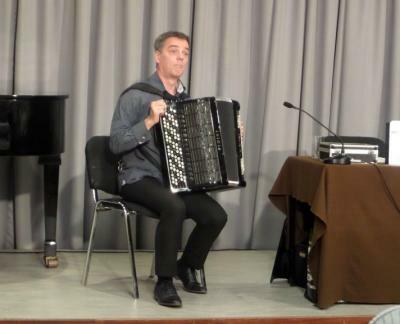 The 64-year-old Milanese maestro – I once had the pleasure of seeing him conduct live – has been a Decca recording artist for almost 40 years and achieved over three million album sales, including much acclaimed box sets of Brahms and Beethoven symphonies*. It had been the best part of a year since I had booked my tickets for this event – one of two concerts in the ‘Philharmonia at the Movies’ series with the Philharmonia Orchestra conducted by Nicholas Dodd. 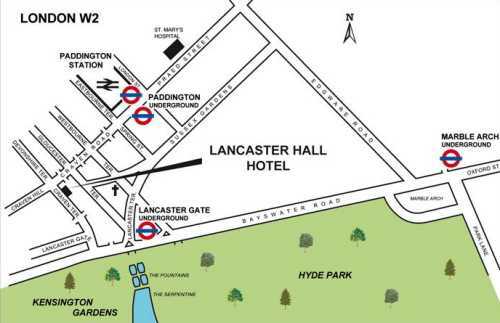 Lancaster Gate underground station is closed until July while they replace the lifts. Many of our attendees use the station to get to our meetings. world famous virtuoso Norwegian harmonica player. Conniff (1916-2002) – another Vocalian lists debutant – his orchestra and chorus of 12 women and 13 men turned out immaculate albums like this 2-on-1 for years. It was back in 1956 that he began experimenting with voices as an integral part of the orchestra and his LPs developed the old swing era formula he had used as an arranger with Artie Shaw, Harry James and others. It is good to welcome Percy Faith to the Vocalion catalogue – the home of the world’s best light orchestral recordings. Whilst, for me, neither of the albums on this 2-on-1 would rank in the top echelon of the Faith discography, they are both interesting. I first found the title Cascades to the Sea quite by chance while searching for information about Robert Farnon in K B Sandved’s superb 1954 encyclopedia “The World of Music”. It was then described as a tone poem. Also mentioned were Farnon’s first two symphonies, some études and several comedy symphonettes that at the time were all a complete mystery. BBC National Orchestra of Wales conducted by Rumon Gamba. Spring (Frederic Austin); Blackdown - from the Surrey Hills (William Alwyn): The Witch of Atlas – after Shelley (Granville Bantock); A Gloucestershire Rhapsody (Ivor Gurney); A Berkshire Idyll (Balfour Gardiner); The Solent (Vaughan Williams). We have a new section: sheet music. Please submit any sheet music you think fit for the website. We've updated our May flyer to indicate that Lancaster Gate underground station is closed until July while they replace the lifts. During the 1990s while living in Bath, my wife and I regularly attended the winter series of symphony concerts at the Colston Hall in Bristol. We always sat in the same seats in the choir stalls behind the orchestra facing the conductor. To all intents and purposes we were part of the percussion. This is the latest release from the phenomenon that is the Dutch violinist and conductor who has already sold over 40 million albums. On Saturday evenings at 9 o'clock from 7th January until Easter, David Mellor will host Light Music Masters on Classic FM. This is a new series following positive reaction to the first series, broadcast last year. However, the website player says: "Sadly our broadcasting rights do not allow us to play to locations outside the UK." Last year, David Mellor presented a series of programmes which shine the spotlight on a much-maligned – but much-enjoyed – genre of music: Light Music. Following feedback from Classic FM listeners, hundreds of whom got in touch to ask for more, David now begins a brand new series of his /Light Music Masters/. Between now and Easter, David will be picking out plenty of undiscovered gems: tonight's choices include a few treats from the album /Puttnam Plays Puttnam/ – in which son pays homage to father – as well as some Neopolitan songs from the great Luciano Pavarotti. We’ll also enjoy established favourites: for example, Richard Addinsell’s /Warsaw Concerto/ and Robert Farnon’s /Westminster Waltz/, which begins with the unmistakable sound of the bells of Big Ben. Join David Mellor for the second instalment of 2017’s Light Music Masters. Throughout the series, he’ll be shining a spotlight on composers from the much-loved genre, including Eric Coates, Ronald Binge and Ron Goodwin. There’ll be tunes you’re sure to recognise, and some new discoveries along the way, so make sure you join him for a truly enjoyable hour of music. Tonight’s masters include the man who David dubs the “genius of Light Music”, Leroy Anderson, with some of the American composer’s lesser known works /Serenata/ and /The Waltzing Cat/. We’ll also hear from another composer from across the pond, Leonard Bernstein, described by David as “almost too talented for his own good” with musicals such as /On The Town /and /West Side Story./ Rounding off the programme will be a Richard Hayman arrangement of Lionel Bart’s music for /Oliver/. Join David Mellor as he crosses the Atlantic to shine the spotlight on a number of American Light Music specialists, in particular Henry Mancini, Jerome Kern and George Gershwin. Amongst the highlights are a modern-day recording making use of a piano roll of Gershwin himself playing his /Rhapsody in Blue/ with Michael Tilson Thomas conducting, and the songs of Jerome Kern arranged for choir. We’ll also be treated to Henry Macnini’s iconic music for the /Pink Panther/. On 16th Dec 2016 at 2pm from BBC Maida Vale Studios Bramwell Tovey conducts the UK premiere of his Urban Runway and Kathryn Rudge performs songs by Ivor Novello and Eric Coates. You can listen live from 2pm on BBC Radio 3. Bramwell Tovey’s Urban Runway is laced with both jazz and minimalist flavours. Housed in a cakewalk rhythm, the piece is a musical stroll through the big-city American streets of New York and Rodeo Drive. Co-commissioned by the New York Philharmonic and Los Angeles Philharmonic in 2008, the piece receives its UK premiere by the BBC Concert Orchestra at this afternoon concert conducted by the Grammy award-winning composer himself. Haydn Wood's march "Merry Dale" written for Slaithwaite Brass Band (Slaithwaite the village of his birth) has been recorded for the very first time on a CD called "Evolution". Merry Dale was never published but was given by Haydn Wood directly to the band, who still own the original hand written manuscript parts. Merry Dale has never been performed by any one other than Slaithwaite Band or outside the village. Music from the CD is being featured on Yorkshire Brass (Radio Leeds, York, Humberside + others) on Sunday 4th December and is available for a month on the BBC iPlayer. The CD Evolution is available by post, price £11 inc p&p direct from Slaithwaite Band. See slaithwaiteband.org.UK for contact details. fundraising concert in aid of The British Home. Tickets: £7.00 and Concessions £5.00 to include tea and coffee. 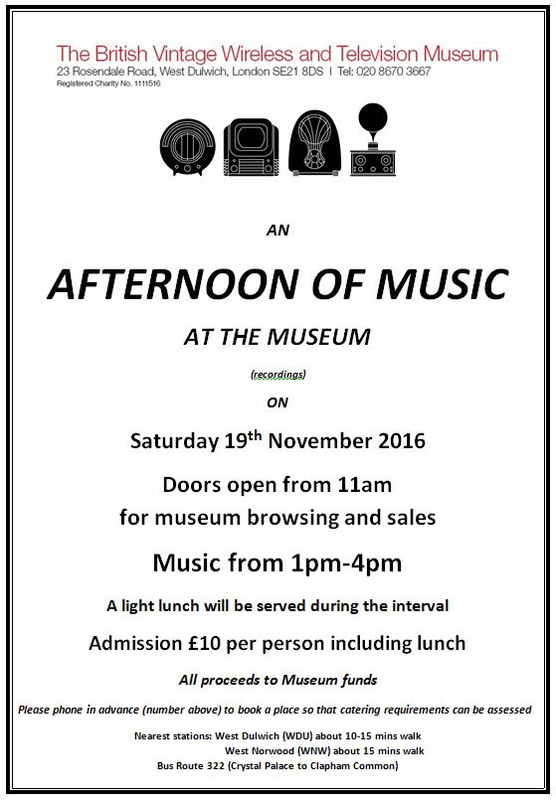 Tony Clayden will be presenting an afternoon of recorded music at the British Vintage Wireless and Television Museum on Saturday 19th November. (Turn right out of New Eltham Station from Charing X, cross over traffic lights, and church is a few hundred yards on the left - less than 5 minutes walk). We are sorry to hear from Forrest Patten that longtime RFS member John Parry passed away on 21st October in Florida at age 76. John, outside of being one of the original members of the RFS, was involved for a number of years at Chappell's in London before re-locating to Toronto and starting his own production music library, Parry Music. The next LLMMG meeting will take place at the Lancaster Hall Hotel on Sunday May 7th 2017 – All are welcome, please tell your friends! The American actress Charmian Carr, who played Liesl in The Sound of Music, has died aged 73. She was the daughter of musician Brian Farnon, and the niece of Robert Farnon. Tomorrow afternoon, Saturday 17 Sep 2016, Kingston Hospital Radio is doing a feature on the Aspidistra Drawing Room Orchestra from 3:15 to 5pm. They get people from all over the world listening to this programme. Just mention the name Wally Stott/Angela Morley and that’s your guarantee of the highest quality music. 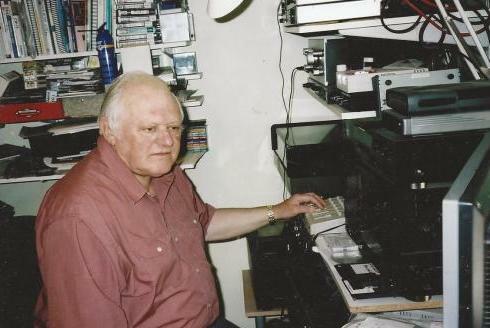 Alan Bunting, who passed away in January 2016, amassed a huge collection of CDs, LPs, ‘45’ and ‘78’ rpm records, all of which have now been purchased from Alan’s family by Tony Clayden. Amongst several thousand items are a great number of light-orchestral recordings by Percy Faith, Ray Conniff, David Rose, David Carroll and many others. Some are in mint, unused condition, whilst many others had been pre-owned and were obtained by Alan from all over the world. Also included is a very large collection of record catalogues, many dating-back to well before WW2, and a selection of music reference books. These will all require a great deal of sorting-out, but eventually it is hoped to produce a definitive list. by post - 49 Alexandra Road, Well End, BOREHAMWOOD, Hertfordshire, WD6 5PB, England. Review by © Peter Burt 2016. To celebrate STUDIOCANAL's 40th Anniversary 4K release of Nicolas Roeg's 'The Man Who Fell To Earth', starring David Bowie, UMC will be releasing for the first time in any format the original soundtrack, containing seminal pieces by Stomu Yamash'ta and John Phillips, who composed specifically for the film. This long-awaited release is significant for the Robert Farnon Society only because it includes Silent Night played by The Queens Hall Light Orchestra, conducted by Robert Farnon. 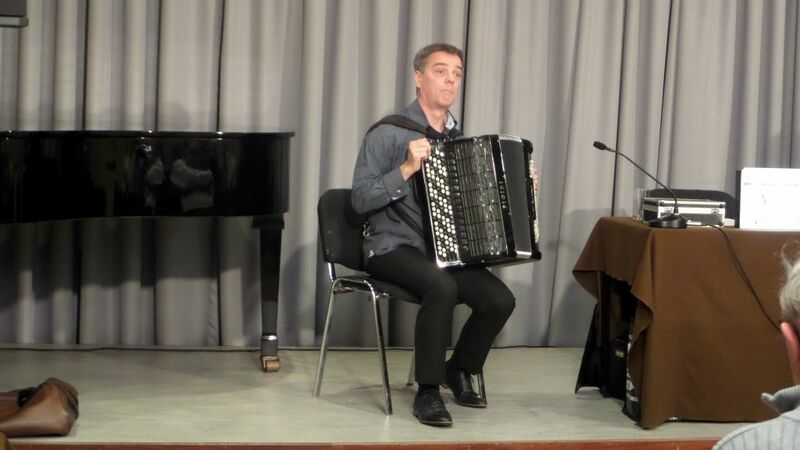 Whenever I play Frenesi in public, I normally get absolutely no reaction whatsoever from anyone in the audience. I don’t know what that says about my playing or indeed about one of the catchiest Latin American melodies ever. FILM MUSIC CLASSICS Vaughan Williams Naxos 8.573659 RTE Orchestra conducted by Andrew Penny. For many years discerning light music lovers often wondered what influenced those light orchestral classics of Robert Farnon. I first heard Caprice for Strings quite by chance in 1953 on a radio programme in New Zealand from 1YA Auckland. Because there was no back announcement, it remained unknown until I wrote to the station for information. Jim Stokes informs us through the RFS Facebook page: "THE 39 STEPS comedy version produced by Doug Denoff used some RF music as overture music before the opening curtain." Devotees of the New Year’s Day Concert from Vienna will know the name of Joseph Lanner (1801-1843). He has been claimed as ‘father of the Viennese waltz’ and was a contemporary of Johann Strauss I (1804-49), the viola player in his first quartet until they quarrelled and the latter left to form his own group. As I’m sure you know, I get a great kick out of analysing light orchestral pieces, especially ones that are jolly and cheerful. Without doubt Mannequin Melody fits into that category perfectly. In fact it puts one instantly into a good mood. This Clive Richardson composition contains many of the qualities of the 1940’s Golden Era, including the presence of the Queen’s Hall Light Orchestra conducted by Robert Farnon. David begins his survey of Light Music with a man who helped put the genre on the map – Arthur Fiedler. He came out of the violin section of the Boston Symphony Orchestra, and went on to direct the Boston Pops Orchestra for 50 seasons. The composer and the orchestra even hold the Guinness World Record for the largest single audience for a classical music concert – an incredible 400,000 people. Tonight David will tell their story and play the music that made them so popular. Instantly recognisable and timeless pieces include I got Rhythm with Earl Wild on the piano, and Jaloussie by Jacob Garder, which went on to be the first 78 to sell a million copies. In the second programme in this new series, David Mellor shines the spotlight on one of the finest Light Music composers of the 20th century: Eric Coates. Coates was recognised throughout the word for his his hummable tunes and brilliant orchestrations, both of which we’ll hear in abundance tonight. But as David promises to prove, there’s more to this English composer than his Dambusters March and London Suite. Join him to discover some surprising stories, which are guaranteed to make you hear Coates’ music in a new light. 75-minutes of great tunes from musicals such as ‘Girl Crazy’, ‘Funny Face’, ‘An American in Paris’, ‘Shall We Dance’, and ‘Star!’ with 17 tracks including They Can’t Take That Away From Me, Aren’t You Kind Of Glad You Did?, ‘S Wonderful, and For You, For Me, For Evermore. On February 25th 2016, a performance of Robert Farnon’s ‘Prelude to the Lake of the Woods was given in Kenora, Ontario, Canada. Our concerts are held in Knox United Church in Kenora, Ontario. The orchestra is the Thunder Bay Symphony. Thunder Bay is 550 km east of Kenora; it is part of their mandate to perform in the smaller communities in Ontario. We have had the orchestra perform here for over 35 years. This concert featured the composition by Robert Farnon,entitled Prelude to the Lake of the Woods, which is where Kenora is situated. The lake features 14,524 Islands and goes as far south as Minnesota in the USA. The composition by Robert Farnon was found in the archives of the local museum. We couldn’t find the individual parts anywhere, so we had the score transcribed for the Symphony. This was a very successful evening as it not only featured the music but outstanding photographs of the lake area. We are not 100% sure that Robertever visited the area, however, after setting the music to the photographs we have convinced ourselves that he must have. The pictures were shown on a large 75” TV sitting on top of the organ console that is visible in the right corner of the photo. unwell. Although in increasingly severe pain, he immediately resumed work, and was able to finalise the fourth-and-final volume of ‘100 Great American Light Orchestras ’ for Guild; this was one of the last tasks he undertook before he collapsed once again and was re-admitted to hospital. Sadly, his condition continued to deteriorate and he passed away on March 16th. Footnote: Volume 4 of ‘Great American Light Orchestras’ is scheduled to be issued later in 2016, and arrangements are in hand to continue the Guild ‘Golden Age Of Light Music’. Robert Farnon wrote this piece about our beautiful 'Lake of the Woods' in the early fifties. This video features my photos taken mostly of the northern portion of Lake of the Woods. Moira hailed from Forest Gate, London, the first of two children born to Andrew and Ellen Stevenson. During World War Two, the children and their mother evacuated to Dorset, where Moira grew to love the countryside. At the end of hostilities, the family was reunited and they moved to Leigh-on-Sea, Essex. Moira attended the local Junior and High Schools and the age of nine, she first met her future husband, David Ades. Throughout her life, Moira was seriously afflicted with chronic asthma, and her education was badly disrupted as a result of this condition. Upon leaving school, and after several different jobs, she ultimately became a book-keeper for her father, continuing in this role until her marriage to David in 1967. Around this time, David gained a promotion within Midland Bank, which necessitated a re-location to Northamptonshire, and it was there in 1968 that their only child – a daughter, Fenella – was born. father, building up her collection as-and-when funds permitted. Along with David, she enjoyed good food and wine, and particularly in later years, travelling. The family moved several times ‘with the job’ and eventually settled in Nottingham. In 1989, David was able to secure a very generous retirement package, and they decided to live in the South-West, which Moira remembered fondly from her childhood. Their beautiful new home and garden in Seavington St. Michael, Somerset, occasionally played host to members of the Robert Farnon Society for ‘extra’ meetings during the summer. Moira soon became involved with local voluntary work, including helping to raise funds for a new Village Hall. She was always very supportive of David, both in his professional life and in his ‘second career’ after retirement, when he ran the RFS and also acted as consultant for many CD projects, including of course his stewardship of the ‘Golden Age Of Light Music’ series for Guild Records. For many years, Moira accompanied David to the London Meetings of the Society, where she could usually be found helping out ‘on the door’. She was always very welcoming, especially to those attending for the first time, and her wonderful smile and cheerful disposition will be remembered with much affection by many. Although in declining health herself, Moira continued to be a tower of strength for David as his own illness progressed through to its unfortunate final stages. After his passing, she spent a great deal of time with her daughter’s family, and was looking forward to moving into a specially constructed annexe attached to their house. As previously reported, Moira was admitted to hospital in mid-December 2015 for a surgical procedure. Whilst this initially appeared to be successful, she then developed post-operative complications which her medical team were unable to resolve, and she sadly passed away on December 27th. A loving and caring wife, mother and grandmother, Moira also became a good friend to many of us in the Robert Farnon Society; her passing, especially so soon after David’s, has left a huge void and she will be greatly missed. Once again, our sincere condolences are extended to Fenella and her husband Barry – and her two grandsons James and William. It is with the deepest regret and profound sadness that we have to report the death of Alan Bunting on Wednesday March 16th 2016, after a short illness. Alan was one of only a handful of premier experts in the field of digital recording restoration in the UK, and over the years carried out a great deal of such work, especially for many record companies active in the field of reissues. Together with the late David Ades, Alan was instrumental in the establishment of the Golden Age Of Light Music series of CDs for the Swiss Company Guild Records, contributing to both the technical and repertoire aspects of what would become a phenomenally successful project. After David’s death in 2015, Alan assumed responsibility for the overall management of the series and several more CDs were produced. At the time of his death, further titles were under discussion although only one, Great American Light Orchestras Vol. 4, has been fully completed, and will be released in mid-2016. A fuller tribute to Alan will follow in due course, but in the meantime sincerest condolences are extended to his son, daughter and grandchildren. For those following my Notes and Suggestions on Performance series dealing mainly with works in the serious repertoire with an inclusion of a few light music selections, they may well be forgiven for wondering what exactly I'm pursuing in this essay - supposedly presuming that I'm referring to some pop number in the Latin manner of a sort such as might come from the hands of perhaps Xavier Cugat, Perez Prado, and the like. For his fourth album Miloš Karadaglić, the 32-year-old award-winning classical guitarist from Montenegro, gives us his distinctive “take” on 15 songs written by the Beatles [John Lennon & Paul McCartney and George Harrison] – music that seems to appeal to all ages – and a very good album it is, too. It was recorded in the famous Studio 2 at Abbey Road, London with some of the microphones used by the original Fab Four. Aaron Copland (1900-90) was probably America’s greatest native-born composer. It was in 1959 that the original Gang Show producer Ralph Reader wrote Strollin’, the song most associated with Bud Flanagan. Two years later in 1961 Robert Farnon composed the mood music equivalent, Strolling Home. It is with profound sadness that we report the death of Moira Ades, wife of the late David Ades, on 27th December 2015. Moira was admitted to hospital in mid-December to undergo an emergency surgical procedure. Whilst initially this appeared to have been successful, she then developed post-operative complications, which unfortunately her doctors were unable to resolve. It is hoped to publish a fuller tribute to Moira in due course. Our sincere condolences are extended to her daughter Fenella, her two grandsons James and William, and her son-in-law Barry. Tony Clayden has written a CD review of the album. An exciting selection of new CDs will be available in time for Christmas and include Easy Listening, Light, Latin, Film Soundtracks/LibraryMusic, Jazz/Soul and Dance Bands/Big Bands. Artistes featured include Henry Mancini, Floyd Cramer, Paul Mauriat, Caterina Valente, Cleo Laine, Neal Hefti, John Dankworth, Victor Silvester, Ted Heath, Jack Hylton and Geraldo. The listings also include a number of back catalogue re-issues, featuring, among others, Roy Fox, Carroll Gibbons, Henry Hall, Ray Noble, Ambrose, Ted Heath and the Queen’s Hall Light Orchestra. In addition, there is a huge range of existing titles all still available. The catalogue can be obtained from Vocalion - or by telephone 01923 803 001. The company operates a mail-order service – their postal address is PO Box 609 Watford WD18 7YA England. London Light Music meeting Group member Chris Money has a Saturday afternoon slot on Kingston Hospital Radio during which he plays varied selections of Light Music. 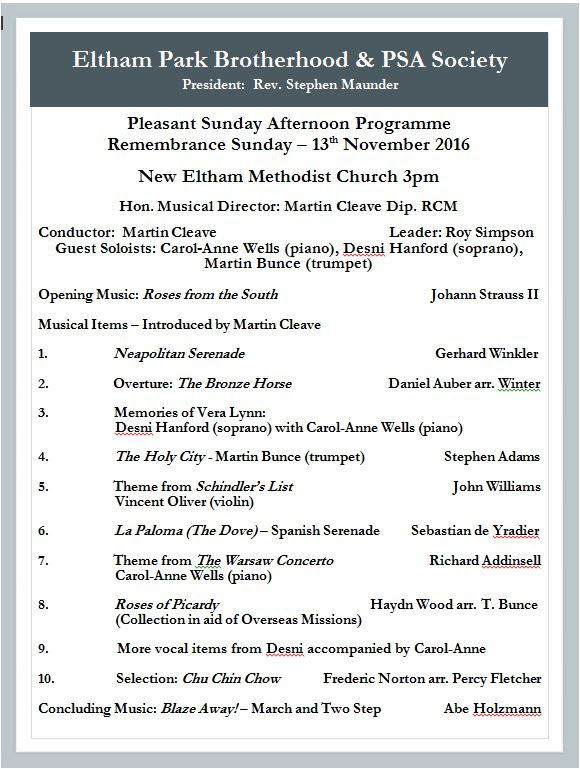 The programme is streamed live online and you can listen in between 3pm and 5pm every Saturday afternoon. Another excellent release at the lighter end of the classical spectrum from this label. English light music composer Ernest Tomlinson, known for orchestral pieces including An English Overture, Little Serenade, Cantilena and Woodicock, has died aged 90. 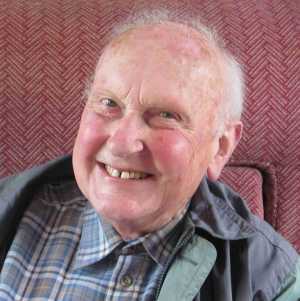 Tomlinson was Chairman of the Light Music Society from 1966 to 2009 and subsequently President. An obituary will follow in due course. After opening – appropriately – with Eric Coates' Dambusters’ March in a robust performance conducted by Sir Adrian Boult, Tony Clayden introduced an old friend of the Robert Farnon Society, Albert Killman – who presented a tribute to the late David Ades, whose passing in February has greatly saddened all who knew him. On BBC iPlayer:- Alasdair Molloy explores the career of Eric Coates. Although best known for his signature tune to Desert Island Discs and The Dambusters March, Coates's orchestral music is coming back to the concert hall. Andrew Everett has written a book about composer and songwriter Harry Parr Davies. It is available in two formats, either as an e-book at £2.95, or as a paperback at £12.95 plus postage from publishers Authorhouse. However, should anybody like a signed copy, Andrew is happy to supply one for £12 post free. Furthermore, if of interest, he can also provide a companion to the book, a Powerpoint Presentation with music on CDs. Andrew can be contacted on 01913730262. This is a cracking collection of light music of the ‘30s, mainly from the continent – and if you like that era’s melodies, then you'll lap up these twenty-two tracks ! The composer and arranger Roy Douglas died on March 23rd 2015, at the great age of 107. Almost totally self-taught, he worked extensively with Ralph Vaughan Williams and William Walton. He is probably best known for his collaboration with Richard Addinsell, especially on the Warsaw Concerto, (written for the WWII film "Dangerous Moonlight"), in the composition of which he almost certainly played the greater part. He only received £100 for his efforts - whilst Addinsell reputedly made millions - and he never even received 'proper' recognition for his indispensable contribution to that work. His reputation, and fortunately his finances, fared much better as a result of his re-orchestration, in 1936, of Frederic Chopin's music for the ballet "Les Sylphides". For this opus he was fully credited and he continued to receive a substantial royalty income for the rest of his life. All proceeds to the Museum Trust. If you have any particular requests for recordings or for items for future meetings, please contact Tony Clayden. His e-mail and telephone number are shown on the flyer above. 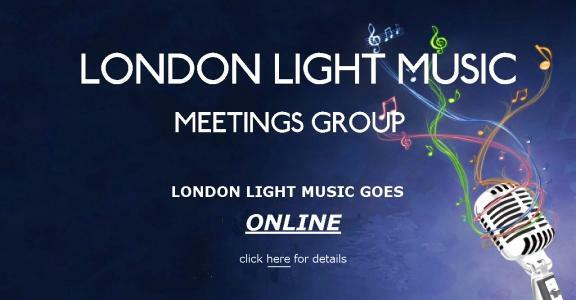 The LLMMG Autumn meeting is scheduled for Sunday 11th October 2015 when guest speaker will be Gavin Sutherland, Chairman of The Light Music Society. "Tony Currie introduces a tribute to the broadcaster and musicologist who died on Saturday. With contributions from Alan Bunting and Gavin Sutherland. Radio Six International Syndication (Broadcast on Tuesday)Also on 88.2MHz FM in New Zealand." It is with great sadness that we announce the death of Robert Farnon Society organiser, David Ades. David died on Saturday 21st February, at the age of 76, after suffering from ill-health for some time. Our sincere condolences to his family. David was Secretary and Treasurer of The Robert Farnon Society from 1962 until December 2013. For much of the time he also edited the society’s magazine Journal Into Melody. A fuller tribute to David has been posted in our JIM section. We regret to announce the death of John Fox (b. 1924) on February 10th 2015. John was a multi-talented arranger, composer and conductor and worked for many years in that capacity with the BBC Radio Orchestra. In addition, he wrote for TV and Film, and his particular interest in in vocal music led him to form the John Fox Singers. A full obituary will follow in due course. We regret to report the death, on December 22 Gerald Crossman ­ distinguished accordionist, bandleader and light music composer, at the age of 94. He was particularly known to radio listeners in the 1950s and 1960s, directing his Gerald Crossman Players, which gave hundreds of broadcasts on the Light Programme and Home Service of the BBC. These included 123 editions of 'Music While You Work.' His signature tune was' A Night in Montmartre', one of over 100 pieces of light music which he composed during his long career. He also played regularly for many other Broadcasting Orchestra leaders of the day, such as Louis Voss, Ralph Elman, Sidney Davey, Arthur Anton, Lionel Falkman, Marcel Gardner and George Scott-Wood, to name but a few! I was privileged to know him for many years. He was real gentleman and one of those rare people who never had a bad word to say about anyone. William Zucker has submitted a new article. It is with great sadness that we have to report the death of Malcolm Powell on December 10th 2014, at the age of 83. Malcolm was an enthusiastic supporter of the LLMMG when it was set up, following the cessation of the Robert Farnon Society’s meetings in 2013. He had been a very early member of the RFS, joining soon after it was established in 1956, (originally as the Robert Farnon Appreciation Society), and served continuously on the main organising committee from the time of the latter’s inception. A Professional Photographer by trade, Malcolm took hundreds, indeed probably thousands, of pictures at RFS meetings over the years and these regularly appeared in Journal Into Melody. He was able to be present at the inaugural meeting of our new Group in May 2014 and once again captured the event ‘on camera’ for posterity. He was a lifelong collector of recorded music, and was very knowledgeable on the subjects of light music, dance bands etc. His huge library of 78s, LPs and CDs numbered somewhere between forty and seventy thousand items, and he was a major contributor of material to the GUILD Golden Age Of Light Music series of CDs, alongside David Ades and Alan Bunting. Although Malcolm had suffered from a long-standing severe heart condition, he continued to host a regular music programme on Meridian Radio, the local community station broadcasting in his home town of East Grinstead, Sussex. He was one of the founders of Radio Queen Vic at the famous Royal Victoria Hospital in that town, and for many years presented programmes on the station. Malcolm was a real gentleman, always willing to assist with arrangements at the meetings, or in any other way he could in connection with the running of the RFS. He will be sorely missed. We extend our sincere condolences to his wife Doreen and her family. Over this past summer, since the JIM ceased publication, I have discovered on line another site where one might partake of all varieties of music - serious, light, and popular - namely, X-Box Music, where I was enabled to listen to many examples of light music - familiar and unfamiliar - that at the time were not available for listening on more traditional sites, such as YouTube. Guild Light Music CDs are sold by all good retailers, and they are distributed in many countries of the world. If you have difficulty in finding them, they are readily available from the major internet mail order sites such as Amazon. New article by Gareth Bramley: "The World of Keith Mansfield"
RFS members & others in many countries may recall an excellent publication of the 1980s & 90s, ‘New Zealand Film Music Bulletin’ produced by Colin Adamson. In a period before widespread internet it was a great source of information about who was composing what, new soundtrack releases, & profiles of the top composers of the day. Sadly, Colin passed away at his home in New Zealand on 12 June after a long illness. He lived in my city & we had known each other since teen years in the late 1950s. His love of Bob’s music & knowledge of light orchestral & film music was encyclopaedic & we shared many happy hours just listening. Links You can also order them direct from Guild Music.